Kids’ favourite toons, Bheem and Chutki were seen participating in the beautification of Carter Road, supporting #BeatPlasticPollution, an initiative by Bhamla Foundation. Eco champs, Bheem and Chutki spread the message of refusing the usage of plastic, by painting ‘#BeatPlasticPollution’ and such messages along the wall of Carter Road, a popular recreational spot in Mumbai. This activity precedes celebrations of World Environment Day, which is celebrated on 5th June globally every year to encourage awareness around protection of the environment. 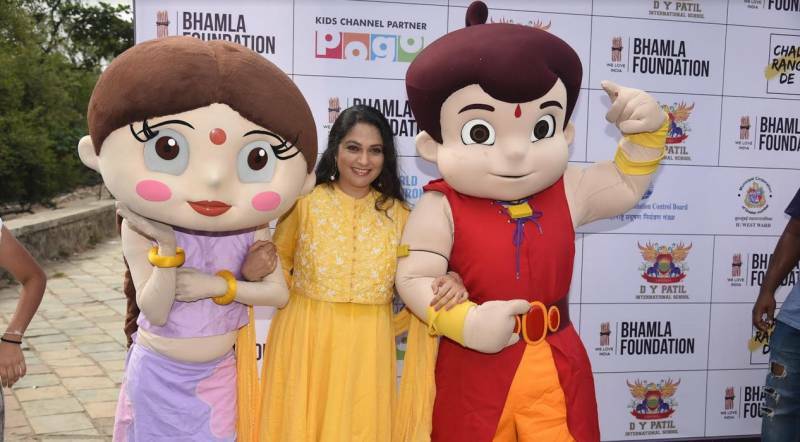 The popular toons were seen enjoying painting the street with enthusiastic kids, and were joined by Bollywood celebrities such as Pooja Bhatt, Gracy Singh and singer Shaan along with Asif Bhamla, founder of the Bhamla Foundation. Clcik here to Read more Related News.